The Algerian Revolution (1954–1962), the war to gain independence from the French colonization that began in 1830, was particularly hard fought. Using every weapon in its arsenal, the French government and army altered Algeria’s very infrastructure in its intention to maintain colonial rule. Architecture of Counterrevolution turns to this lesser known facet of war, giving a vivid account of architectural strategies conceived of and executed by the French civil and military authorities to prolong its colonial presence in Algeria, defend its politico-economic interests in Algeria, and oversee the Algerian Revolution and populations. 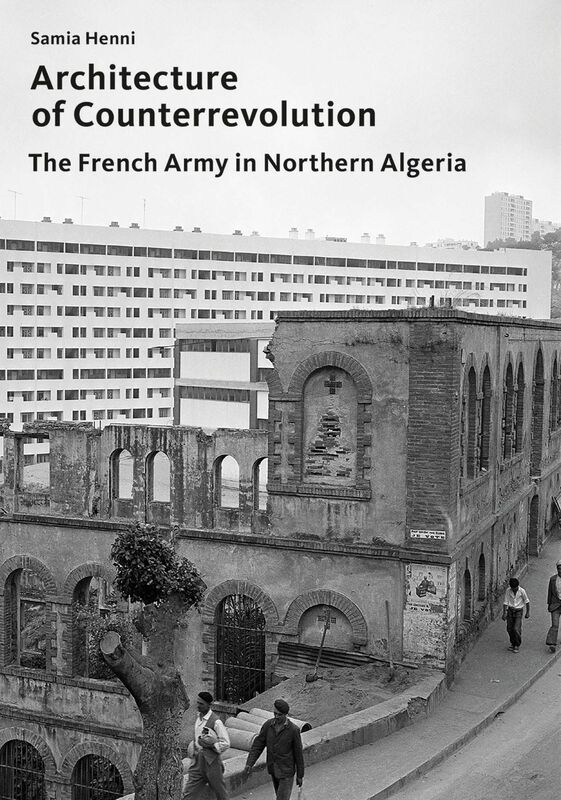 This book focuses on the politics of three interrelated spatial counterrevolutionary measures: the massive forced resettlement of Algerian farmers; the mass-housing programs designed for the Algerian population as part of General Charles de Gaulle’s Plan de Constantine; and the fortified administrative new town planned for the protection of the French authorities during the last months of the Algerian Revolution.